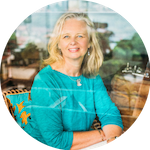 Journalist, editor, writer, speaker and teacher, Jo Parfitt has lived abroad for 31 years across Europe, the Middle East and Asia. In 1997 Jo founded Summertime Publishing, a global organization with an extensive international network that specializes in producing books by and for people who live overseas. Since 1984 Jo has authored 32 of her own books and worked with over 200 authors to help them write and publish their own stories. Jo is more than a writer and publisher – she is a mentor for aspiring writers and is renowned for helping people develop writing skills ‘that pay’. She establishes Writing Circles wherever she resides, and continues to encourage people to write their life stories as a means to celebrating their individual journey. The title of Jo’s keynote address is: Stories Connect Us. Jo has actively supported FIGT for close to 20 years; in 2014 she co-founded the Parfitt-Pascoe Writing Residence (PPWR), a global team of skilled yet amateur writers, with Robin Pascoe. PPWR offered participants an opportunity to work closely with Jo and attend the FIGT Conferences as scribes, capturing every session for subsequent publication and sharing. To celebrate 20 years of FIGT, Jo also organized the publication of A Reunion of Strangers, a compilation of the most inspiring quotes from FIGT speakers and attendees across the years. Jo believes that connecting means finding links between seemingly unconnected phases in our lives, and that stories play an integral role in enabling us to do so. In this Keynote she will share her experience, her vision and offer strategies for building your own story. TV presenter, travel show host, emcee, professional speaker, writer and avid traveller, Anita Kapoor is familiar to many. 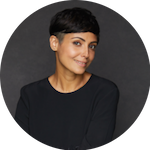 Born in India but a resident of Singapore since 1978, ATCK Anita is known for her eloquence and energy, particularly around issues related to equality and individuality. Anita’s work has taken her around the world and seen her present for Lonely Planet, Discovery TLC and Channel News Asia to name but a few. Her passion for connecting with communities and offering her support have led to ambassadorial roles within Habitat for Humanity (building or improving homes) and Pink Dot (supporting equality for the LGBT community). She also supports Willing Hearts (a feeding programme in Singapore) and Magic Bus (a sports programme in India). Wherever Anita goes, she asks questions, reflects, shares, and is grateful. The title of Anita's keynote address is: Lead with a Global Soul. This Keynote will focus on the concept of LEAD. Anita wants people to embrace the opportunities that the TCK life offers. She sees great opportunity, when living globally, to gain a valuable and unique sense of perspective and insight into societies and communities. She will tell stories of her own learnings, and demonstrate what has led to her to develop her own voice and individuality. Keen to shake off the labels we assign ourselves and step out of the bubbles we can find ourselves in, Anita will demonstrate how a transient life enables us to become wiser stakeholders in the global community. Caleb Meakins thrives outside of his comfort zone, and encourages us to try the same. Born in Addis Ababa, Caleb moved to the UK when he was eight. With a Habesha mother and English father, Caleb has always retained a strong love for and connection to the country of his birth. 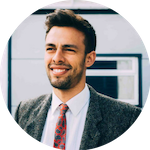 Inspired by his father’s vocation as a civil engineer undertaking construction projects in Ethiopia, and with a deep desire to add tangible value himself, he studied Civil Engineering at Loughborough University in the UK. It was here that he won the 2012 Social Enterprise Award, leading him firmly into the entrepreneurial space. From early days in a venture capital fund focused on supporting entrepreneurs in transforming low-income consumer markets, 2013 saw Caleb establish a social venture aimed at inspiring people to overcome the fear of failure. Intent on demonstrating the power of determination in the face of challenge, and the limiting impact that fear can have in one’s life, the my40days initiative became hugely successful and put Caleb’s name on the map, leading to collaboration with ITV, TedX and Saracens amongst others. ‘The my40days project was designed to include challenges in which I knew I was bound to fail. Through attempting them, I wanted to reshape the way I responded to failure.’ The initiative was seen as crucial learning for an entrepreneur for whom responding to failure and rejection must become an inherent skill. Rala Media, his full-service media agency specialising in strategy and content production. The title of Caleb's keynote address is: You Can Change the World. One of Caleb’s resonating principles is that the fear of failure can be hugely debilitating, yet it remains largely silent and unaddressed, within one’s youth and into adulthood. He believes that people must get out of their comfort zones to see the real opportunities. By stepping into fear and facing it head on, one’s confidence can grow exponentially, and with it, their ability to affect real change.